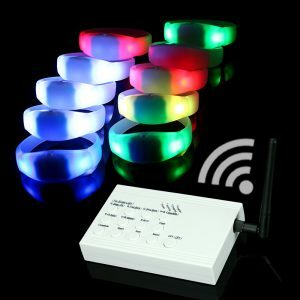 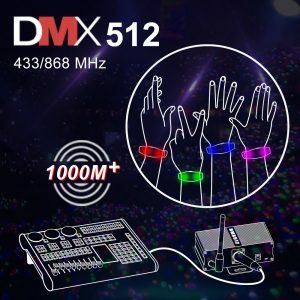 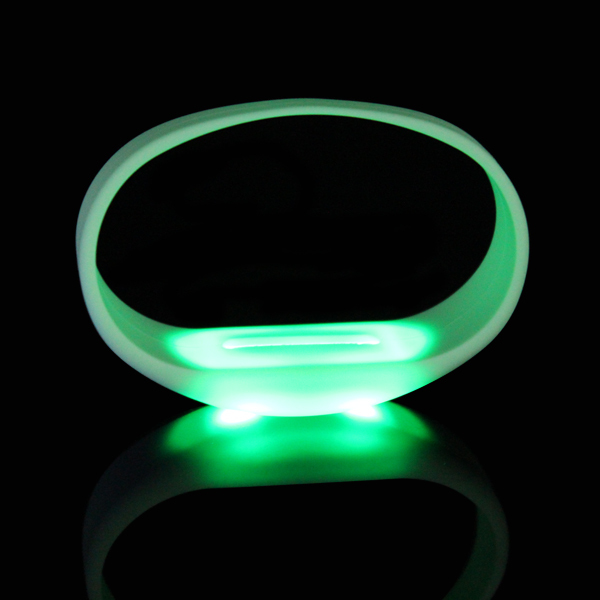 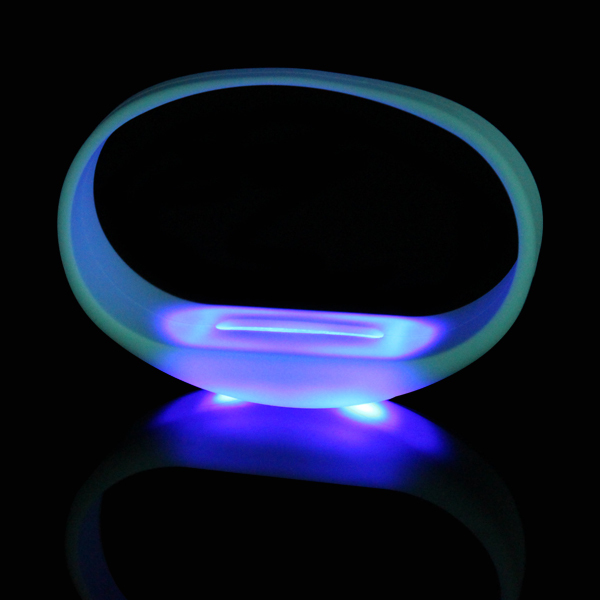 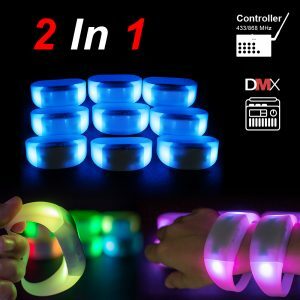 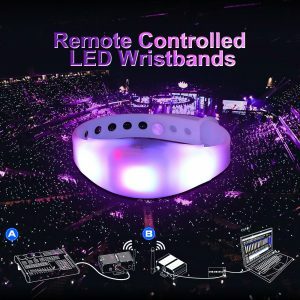 Motion Activated Silicone LED Bracelet great for night events including concert, carnivals, sporting events, party, night club and more! 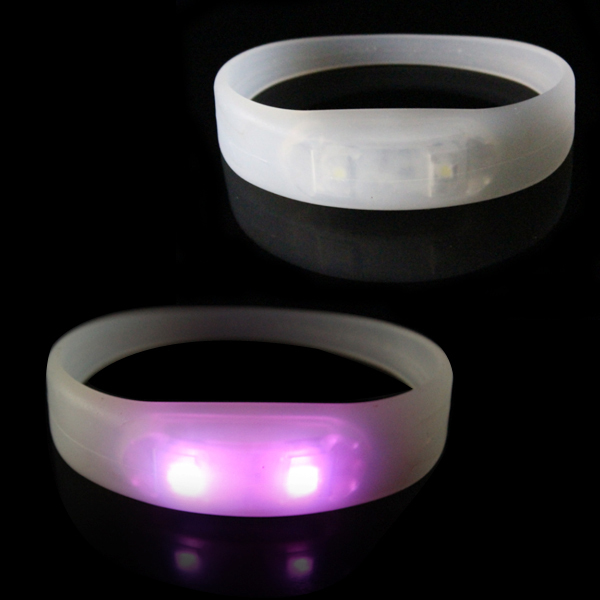 Pull out battery tab, to see the bracelet light up against movement. 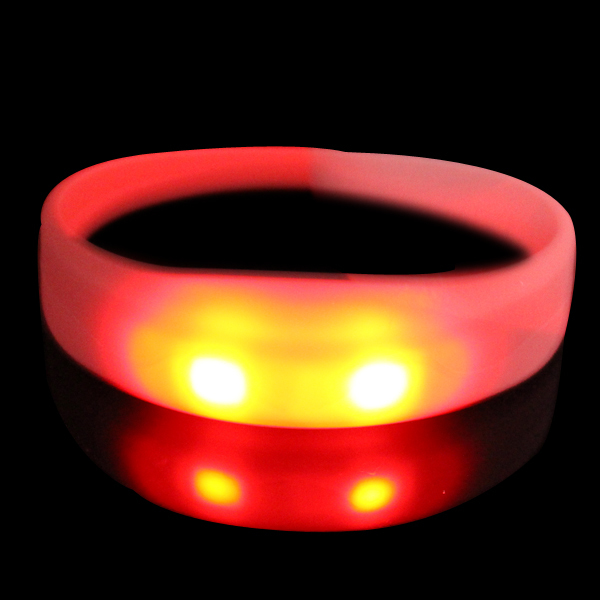 Size: 6cm dia, elasticated silicone wristband. 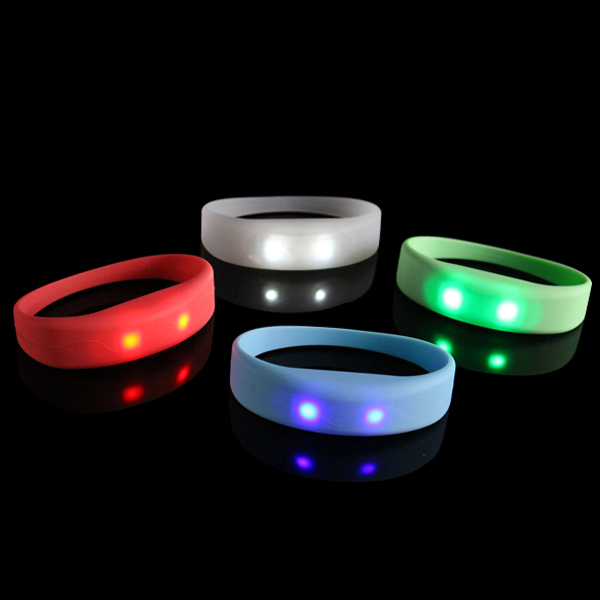 Silicon color matches led light(s) color or customized. 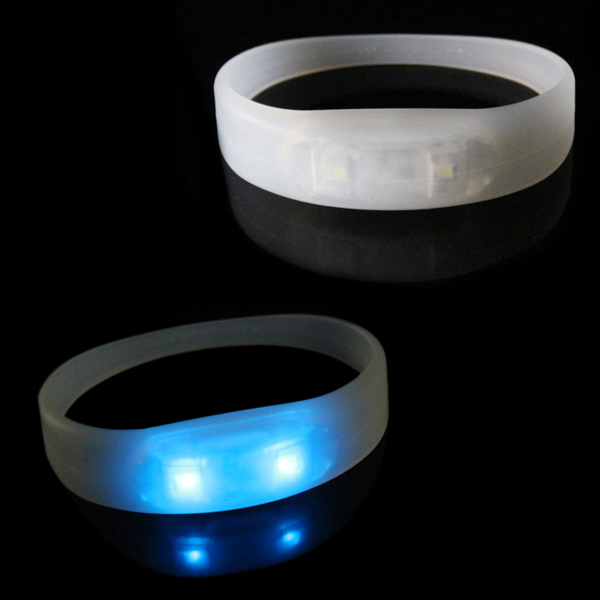 This Motion Activated Silicone LED Bracelet could be printed with your LOGO on the bracelet.